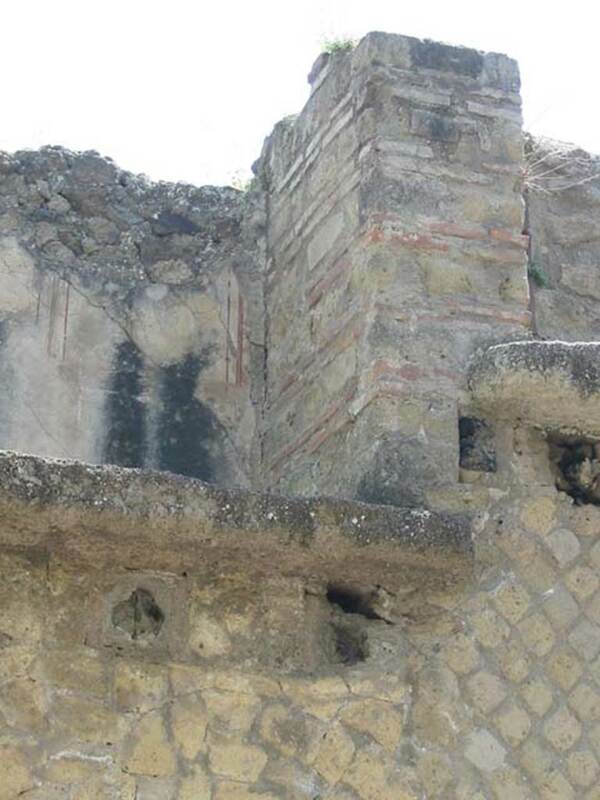 Herculaneum IV.5. 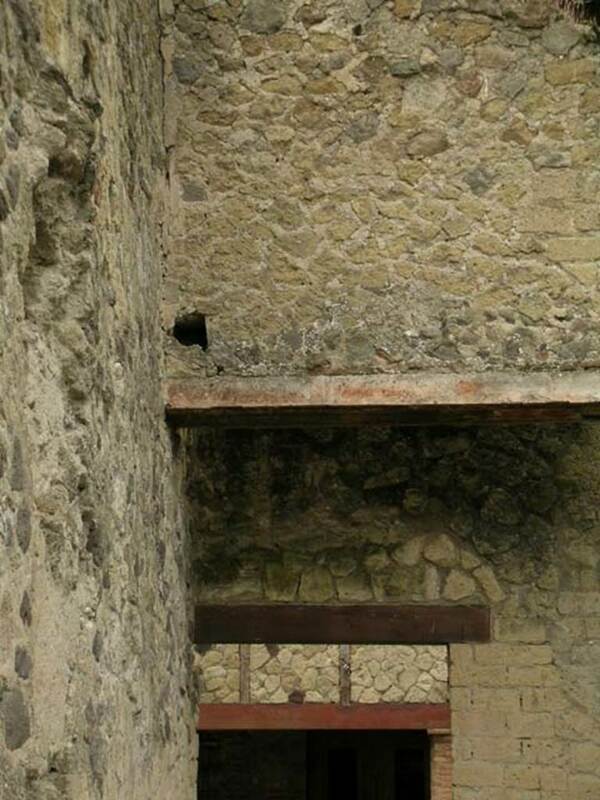 Workroom/Shop linked to atrium of IV.6, Casa della Fullonica. 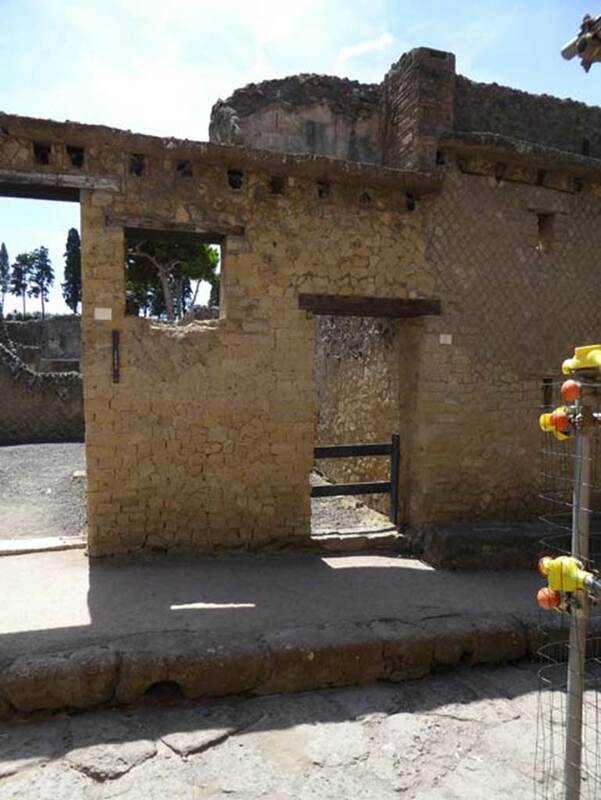 IV.5 Herculaneum, on right, September 2015. Entrance doorways to linked property on east side of Cardo IV Inferiore, IV.7, on left, and IV.6 in centre. 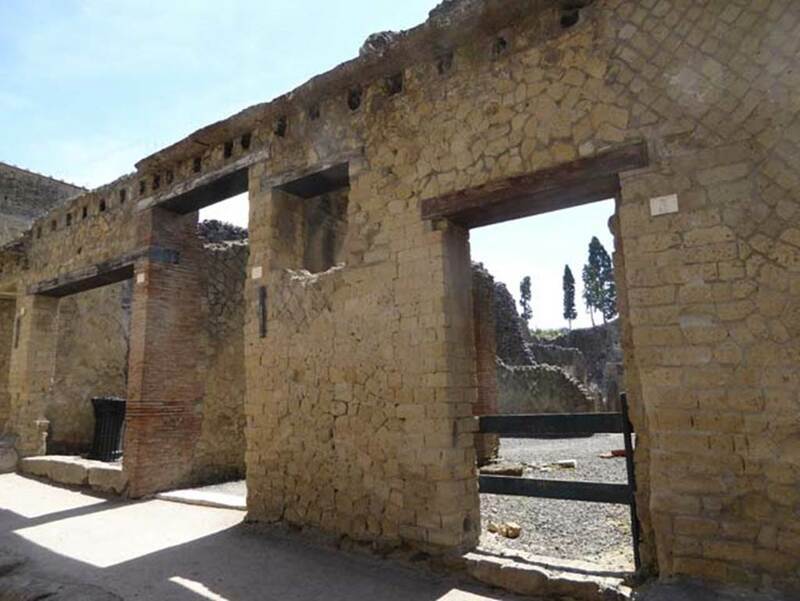 IV.5 Herculaneum, on right, September 2015. Entrance doorway to workshop, linked to atrium of IV.6. 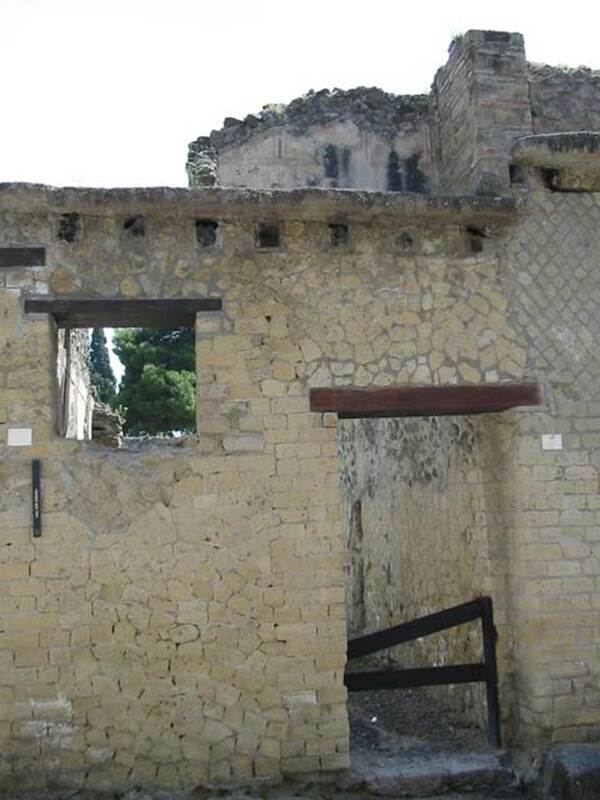 IV.5, Herculaneum, May 2003. Looking east to entrance doorway. Photo courtesy of Nicolas Monteix. 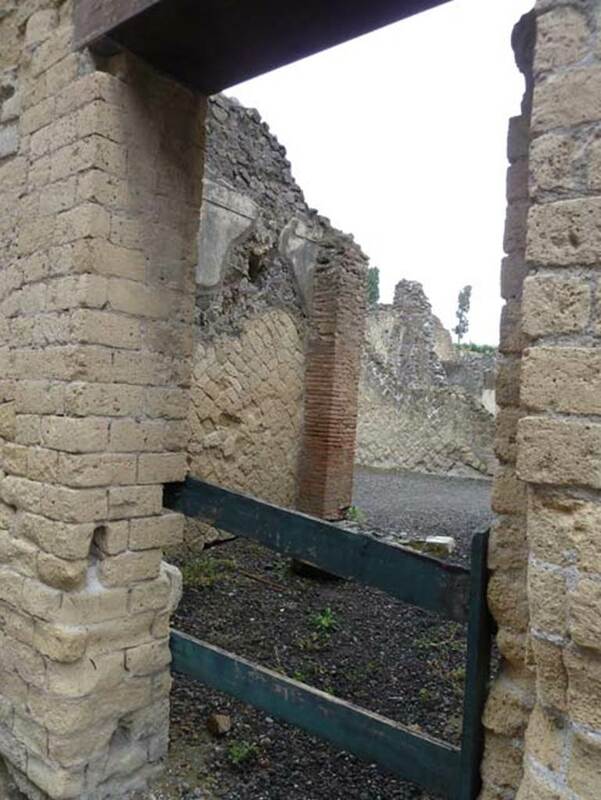 IV.5, Herculaneum, September 2015. Entrance doorway to workshop. IV.5, Herculaneum, May 2005. Looking west from workshop onto Cardo IV. Inferiore. Looking west towards area of upper floor above entrance doorway onto Cardo IV. Inferiore. 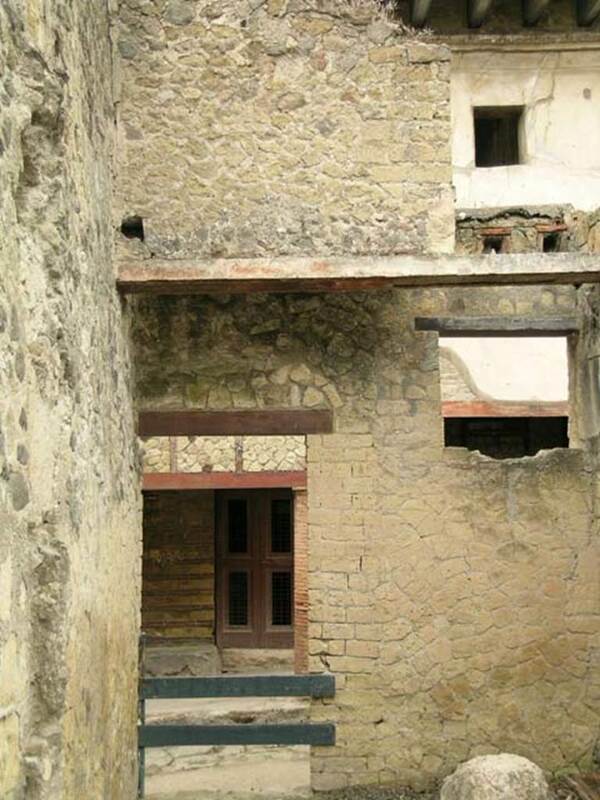 IV.5, Herculaneum, May 2003. Looking east to remains of room on upper floor, above IV.5.